If you’re a family group with kids of up to around 14, and staying in Newcastle, this is just the ticket! Tyneside has three family friendly museums and some amazing full size reconstructions of Roman buildings, taking you back 2000 years. There’s even a full scale reconstruction of 80 metres of the Wall itself. You can fit these destinations into one day of discovery. However, if you’re making an overnight trip, simply split the attractions up over two days and explore other attractions in Newcastle including the amazing quayside area. 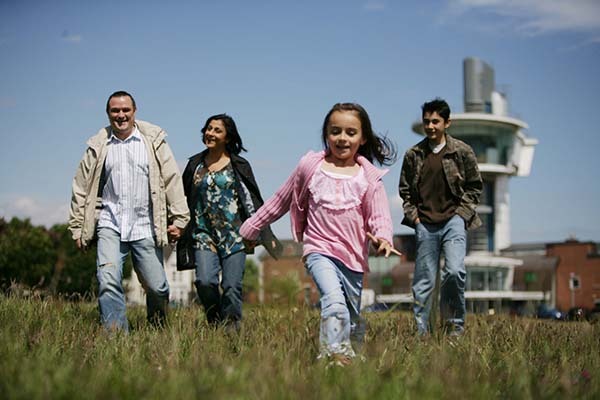 The Discovery Museum, the Centre for Life and the Laing Art Gallery are just some of the options available. The centre of Newcastle is great for shopping too, with High Street names, big stores and designer boutiques along with a fantastic variety of cafés, and restaurants to suit all tastes and budgets. No need for a car on Tyneside! All three Roman sites and museums are easy to get to on the Metro although you could get from A to B on the bus. Ocean Road in South Shields is famous for fish and chips! Arbeia Roman Fort overlooks the coast between South Shields town centre and the sea front. It’s a 15 minute walk from the Metro station – follow the signs. The fort guarded the main sea route to Hadrian's Wall, used for bringing in supplies from elsewhere in the Empire. Explore full-scale reconstructed Roman buildings including the West Gate, the beautifully decorated and furnished Commanding Officer's house and a barrack block for soldiers. The small modern museum displays a fascinating collection of Roman finds from excavations at the site. For the latest information on events visit the Arbeia website. The very modern Great North Museum/Hancock is only a five minute walk from Haymarket Metro and Bus stations. Haymarket Metro station is just two stops from Newcastle Central Station. 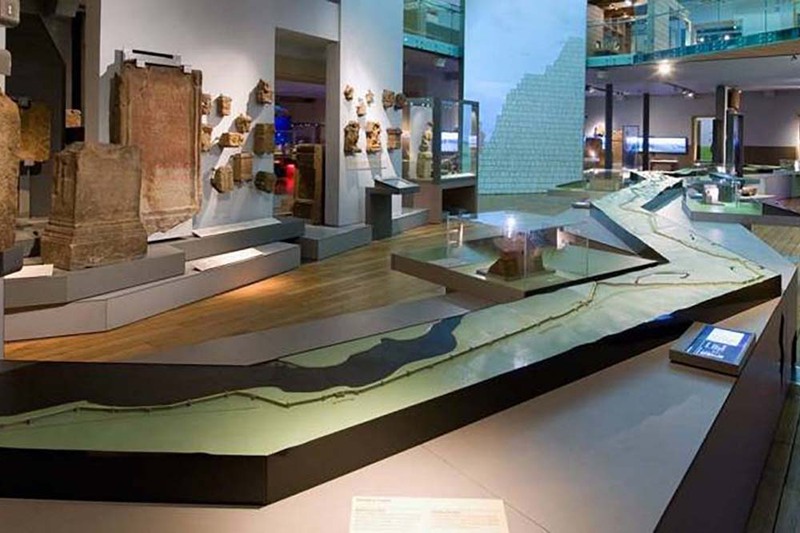 The Hadrian’s Wall Gallery displays Roman finds from Hadrian's Wall and its outpost forts. Highlights include an interactive model of the whole of Hadrian's Wall, amazing jewellery, armour, weapons, pottery and other domestic items (including the gold Amelia Ring - believed to be the earliest Christian artefact found in Roman Britain) and numerous altars, tombstones, relief sculptures and building inscriptions (including the inscription providing conclusive proof that Hadrian ordered the Wall to be built). 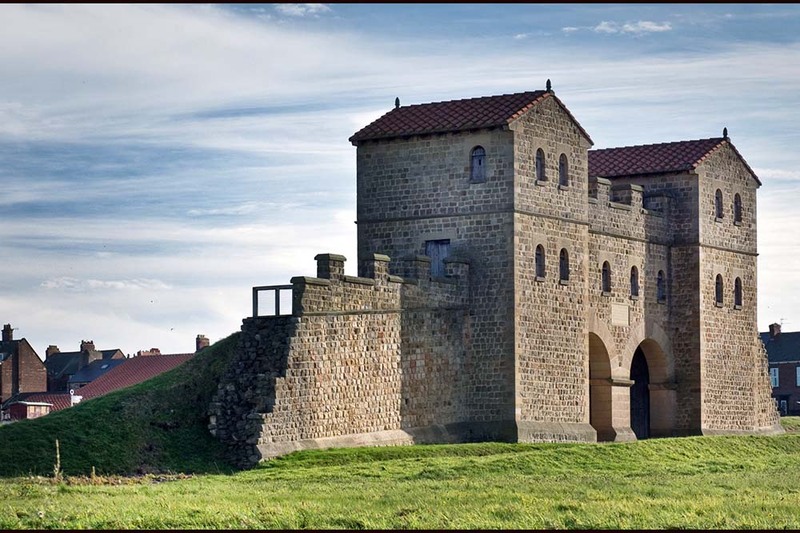 A three minute walk from Wallsend Metro Station, this fort guarded the eastern end of Hadrian's Wall and with its port and small town, was a key place on the frontier. See the whole fort laid out from the spectacular 35 metre high viewing tower. The large modern museum is laid out like a Roman headquarters building with interactive displays exploring life at the fort and in the Roman world. Outside there’s an impressive full scale, 80 metre long reconstruction of Hadrian's Wall built beside the original remains and a reconstruction of a Roman bath house (currently closed for repairs). Find out more about the regular programme of Roman themed events. Take a ferry across the Tyne river to travel between Arbeia and Segedunum. You can do this as an 8 mile walk, or catch the Metro from North Shields to Wallsend. The Great North Museum/Hancock is a large modern museum with many galleries including natural history, ancient Egypt and much more. There’s lots here to keep the children occupied for hours! Explore the line of Hadrian’s Wall through the city on foot. A new mobile app illustrated with virtual reconstructions enables you to explore the city’s hidden Roman past, preserved forever in the plan of some of the city’s main streets. Walk down to the Quayside. The riverside walks and views are simply stunning, including the Tyne Bridge, the Millennium bridge and SageGateshead concert hall.